At least 21 casualties have been reported as a bus exploded in Tel Aviv a block away from the Israeli defence ministry. 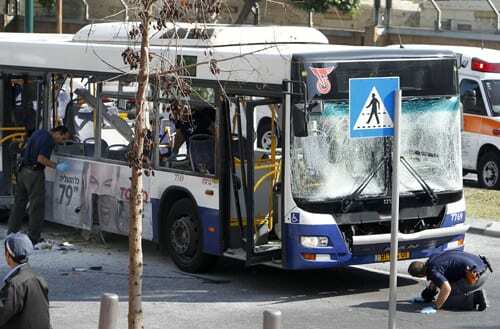 Israeli police are calling the explosion on Wednesday a “terrorist attack,” and have said that an unidentified package was left in the bus. This entry was posted on November 21st 2012 at 3:11pm/15:11 and is filed under Live News Column 1, World News. You can follow any responses to this entry through the RSS 2.0 feed.